HÀ NỘI — A labour ministry proposal to double the overtime limit for workers to 400 hours per year has evoked a mixed response from workers, and clear disagreement from some officials. In draft revisions to the 2012 Labour Code, the Ministry of Labour, Invalid and Social Affairs has proposed that Vietnamese employees are allowed to work overtime for up to 400 hours per year. The current limit is a maximum of 200 extra hours per year per worker, according to Article 106 of the 2012 Labor Code. In some specific areas like textiles and garments, leather, aquaculture processing, telecommunications, water and power supplies, overtime is capped at 300 hours per year. The latest proposal came at the request of many enterprises who’ve argued for several years that more overtime is needed to improve production efficiency, increase workers’ incomes and raise the competitiveness of Vietnamese labour market. A study by the ministry showed that the maximum number of overtime hours allowed in Việt Nam was currently 30 hours per month, much less than other countries in the region. The limit was 36 hours per month in China, 45 hours in Laos, 56 hours in Indonesia, 72 hours in Singapore, 104 hours in Malaysia, and no limit in Cambodia and the Philippines. 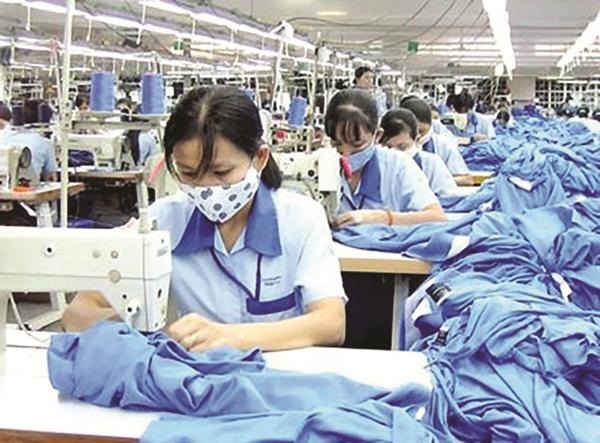 The ministry said its proposal sought to harmonise the benefits of enterprises and labourers, and boost the competitiveness of Việt Nam’s labour market to match other countries in the region. Several female workers felt overtime limits should not be increased by much because they needed time to take care of their children and families, the An ninh thủ đô (Capital Security) online newspaper reported. It quoted Nguyễn Thị Duyên, a female worker at the Bắc Thăng Long – Nội Bài Industrial Park as saying working overtime helped her increase her income, but she preferred to spend time for her children. If the draft was approved, enterprises would have a legal basis to ask workers for more overtime work, she said. Hoàng Thu Hằng, a female worker in an industrial park in Bắc Ninh Province, applauded the proposal. She said almost workers of industrial parks came from other provinces and had to cover their living expenses and save some money. If the overtime limit was increased, she could earn more, Hằng said. Lê Đình Quảng, deputy head of the Labour Relations Department under the Việt Nam General Confederation of Labour, said he did not agree with the proposal. Quảng said any increase in overtime limits should be carefully calculated to avoid the situation that enterprises take undue advantage of workers. A representative of an export processing zone in Hà Nội said specific assessments of Vietnamese physical conditions had to be made before green lighting the proposal. He said that workers at the processing zone had reported feeling faint as they worked. This meant they were suffering from high work intensity.